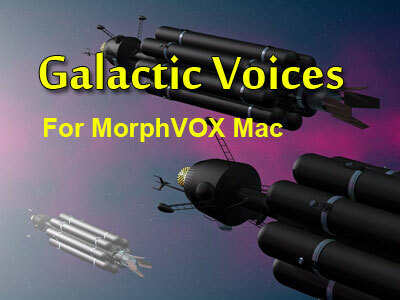 Screaming Bee announces the release of the Galactic Voice pack for MorphVOX Mac voice changer. This new voice pack contains eight science fiction inspired voices. Enjoy character voices inspired by such Sci-Fi films as Star Wars or Transformers. Add more realism to your space based online games by changing your voice to match your game play. Choose to be a bounty hunter, an evil overlord, or an assortment of fighting mechanoids. Get Galactic Voices for the Mac OS X, click here. Star Wars is a trademark of Lucasfilm, Ltd. Transformers is a registered trademark of Hasbro, Inc.